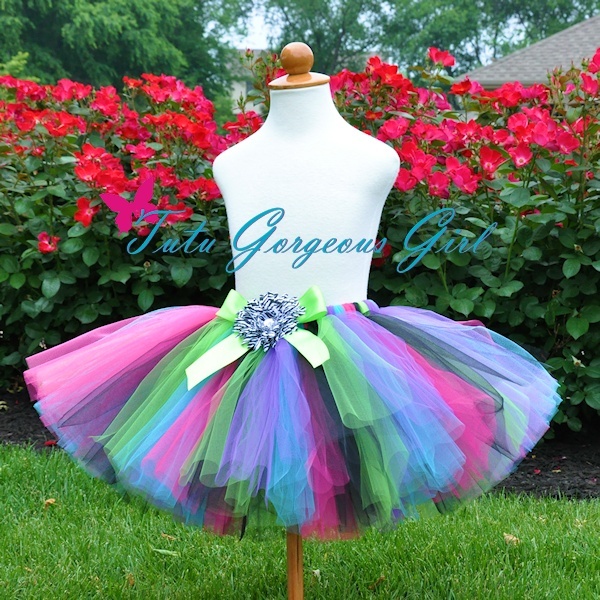 Rock Star Diva Birthday Tutu for baby, girls, women. 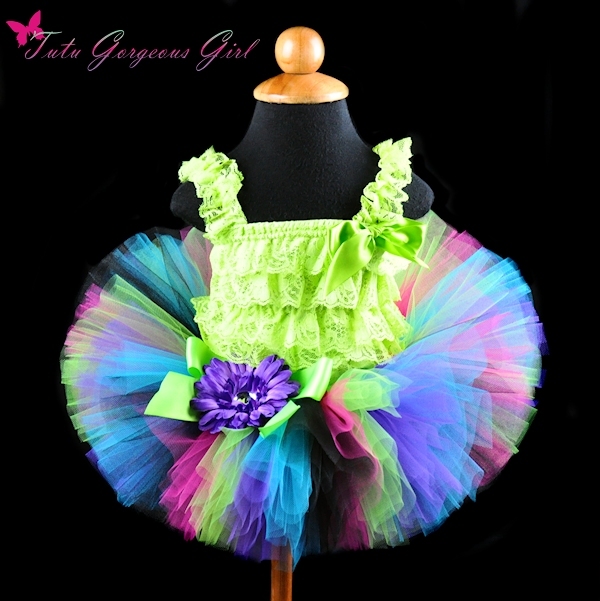 The Rocker Girl tutu features lime, purple, turquoise, black and hot pink tulle. This classic style tutu is a fun choice for a Rock Star themed birthday party, Halloween costume or photo prop. 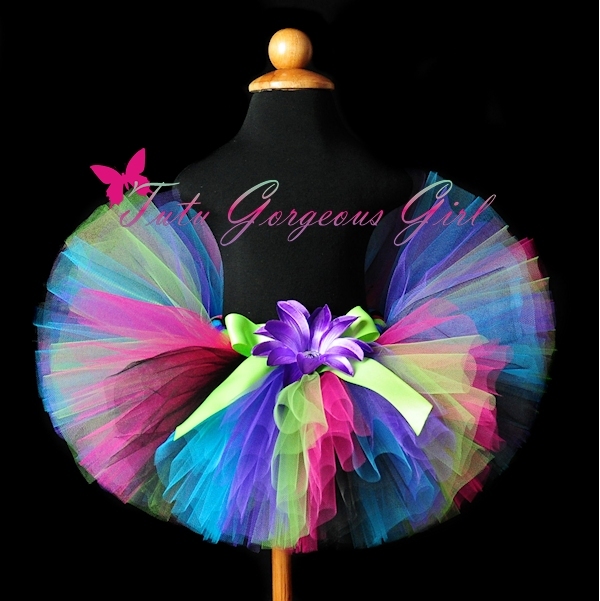 Tutu includes a satin bow. 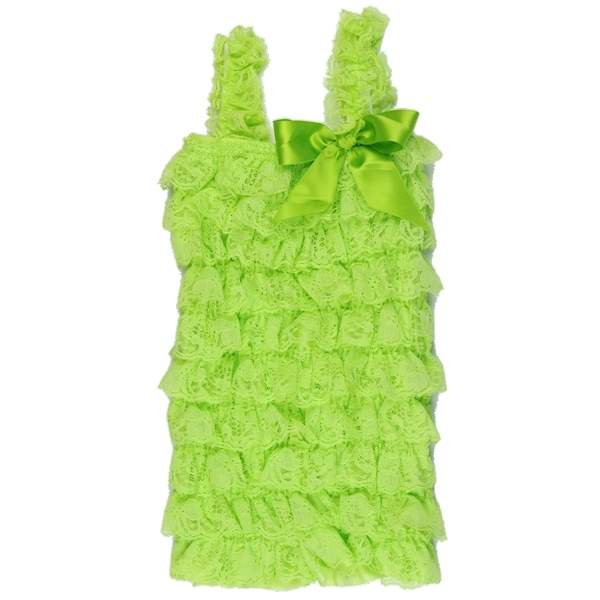 Flower clip and crochet headband can be added to your purchase below.